Women with ovarian cancer often undergo chemotherapy involving multiple agents. However, little is known about treatment-related central neurotoxicity in this population. The goal of this cross-sectional study was to assess brain structure and function and neurocognitive abilities in patients with ovarian cancer following first-line chemotherapy. Eighteen patients with ovarian, peritoneal and fallopian tube cancer and eighteen healthy controls matched for gender, age and education participated in the study. The patients were evaluated 1–4 months following completion of first-line taxane/platinum chemotherapy. All participants underwent structural and functional magnetic resonance imaging (MRI), and completed neuropsychological tests of attention, memory and executive functions. 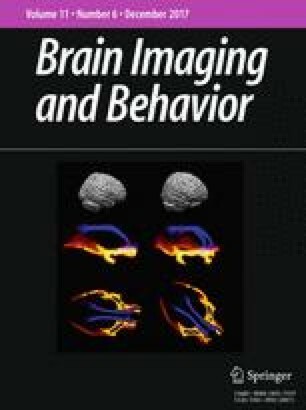 Neuroimaging assessments included voxel-based morphometry (VBM) for measuring gray matter (GM) volume, and functional MRI (fMRI) during the N-back working memory task. The results of VBM showed that patients had significantly reduced GM volume compared to healthy controls in the right middle/superior frontal gyrus, and in the left supramarginal gyrus and left inferior parietal lobule. fMRI results indicated significantly decreased activation in patients relative to healthy controls in the left middle frontal gyrus and left inferior parietal lobule during the N-back task (1/2/3-back >0-back). There were no statistically significant differences between the two groups on the neuropsychological tests. This is the first study showing structural and functional alterations involving frontal and parietal regions in patients with ovarian cancer treated with first-line chemotherapy. These findings are congruent with studies involving women with breast cancer, and provide additional supporting evidence for central neurotoxicity associated with taxane/platinum chemotherapy. Presented in part at the International Neuropsychological Society Meeting, February 2015, Denver, CO, and at the International Cognition & Cancer Task Force Meeting, March 2016, Amsterdam, the Netherlands. This study was funded by the Leon Levy Foundation. Dr. Correa serves on the Editorial Board of Neuro-Oncology Practice and on the Neurotoxicity Advisory Board for Juno Therapeutics. Dr. Root reports no conflicts of interest. Ms. Kryza-Lacombe reports no conflicts of interest. Ms. Mehta reports no conflicts of interest. Dr. Karimi reports no conflicts of interest. Dr. Hensley reports no conflicts of interest. Dr. Relkin has received remuneration from Eisai, HerbalScience Group, Anavex and Forest for consulting services. He has served as an investigator in clinical trials sponsored by the NIH, DOD, Baxter, Merck, Lilly and Eisai. He is a past recipient of grant support from the Leon Levy Foundation. Correa, D. D., Satagopan, J., Cheung, K., Arora, A. K., Kryza-Lacombe, M., Xu, Y., et al. (2016). COMT, BDNF, and DTNBP1 polymorphisms and cognitive functions in patients with brain tumors. Neuro-Oncology, 2016. doi: 10.1093/neuonc/now057.